Just as the waves leave behind beautiful seashells on the sand, our experiences reveal our inner beauty. Open your heart to all that life has to offer. This bracelet contains the gemstones Rose Quartz and Jasper. 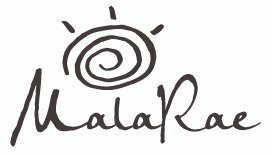 Mala Beads Canada - MalaRae is a unique mala company based in the Ottawa region, is your best choice.